The day most dreaded by the single people is here---Valentine's Day! Kidding. I'm single, but I'm not threatened nor do I get depressed with Valentine's Day. There are lots of fun things to do. But if I were to choose what my Valentine's dream date is, it would be anywhere with Zac Efron. If I were to be more realistic though, it would be a romantic (and sumptuous!) dinner for two with a breathtaking view. The relaxing sound of the waves splashing, the cool breeze of the air against my skin, the comforting scent of salt and sand, the breathtaking backdrop of sunset...oh, heaven! There's something magical and profound about looking up at the stars. Those balls of fire from afar brings out the poet in anyone. 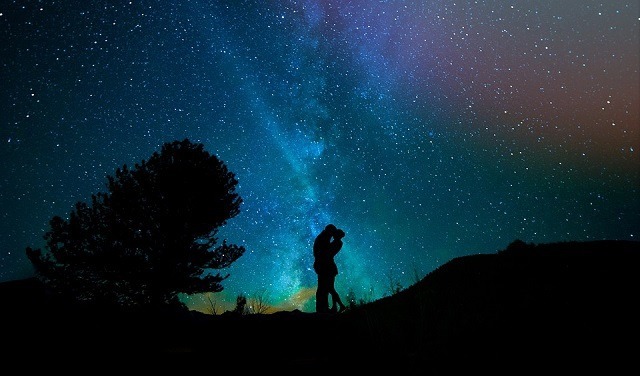 Plus, it's fun to search for your favorite constellations with your beloved. Who wouldn't want to see the spectacular northern lights? It's breathtaking, awe-inspiring, and definitely romantic. No need to leave the comfort of home to enjoy a special Valentine's Day date. Stay at home, cook a special dinner together, or order for delivery and just enjoy the moment with each other. Play your favorite board game, watch your favorite movies or shows, listen to great music and dance the night away. Choices are endless when you're on staycation. Your view when on staycation? It's good to have a view of the city (or town), or your garden, or a burning fireplace with crackling sound of fire in the background. Cheers to life! For those who are working in the concrete jungle who can't afford to go out of town due to their hectic schedules, the view of the city at night is a wonderful alternative. To be away from the city below and to still feel connected to everything around you is solace. Whether out for an adventure or staying at home, it's all romantic, fun, and memorable when spent with your significant other. There are many options for dates, but my ultimate Valentine's dream date is that with a scenic view. As long as you're gazing at your beloved's eyes, the view is perfect. 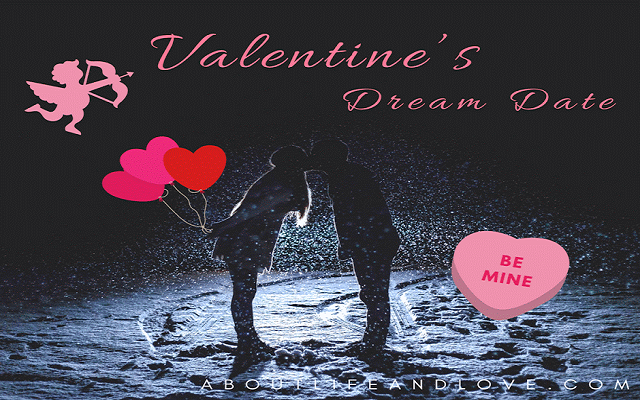 What's your Valentine's dream date? Home is my heart is and home will be the place for our Valentines Day. Still, gazing at the sky with my other half sounds so perfect as well. Great tips for Valentine's day!!! Our romantic evenings generally included a nice dinner out. In my experience, nothing is more sensually romantic than good food. Happy Valentine's Day to you. There are many ways of spending Valentine's day. Home sweet home is my fav place to celebrate Valentines Day! Such a lovely post and beautiful ideas! You're a sweetheart, friend. I hope your Valentine's Day is filled with unexpected joys that bring a smile. Ótima postagem, tenha uma semana maravilhosa, obrigado pela visita. Valentine's day out can be pretty hectic, I definitely like the idea of a staycation! I hope you have a lovely day. Staycation is always a good idea. Enjoy your day to the max! great post, captured the best of everything! These are great ideas how to celebrate Valentine's Day. Here too, not big on Valentine's day, my hubby and I just go out for dinner, that's it! Wishing you a fun one too regardless what you will be doing on Valentine's day! Happy Valentine's Day to you, dear friend! I enjoyed your musings listing ideal ways to enjoy this romantic holiday with your significant other. It immediately triggered memories of a vacation that Mrs. Shady and I had in St. Croix. We dined on the outdoor terrace of a restaurant atop a high hill overlooking the beach and sea. It was a spectacular experience. I can also imagine how wonderful it would be to gaze at the Northern Lights with your partner. "As long as you're gazing at your beloved's eyes, the view is perfect." Thank you very much for the V-Day inspiration, dear friend Lux! Pra mim a única coisa que importa é estar com a pessoa que amo! How fun is this! Happy Valentine's! Great post! My favorite would definitely be by the beach somewhere! I'm glad to hear a single not hate Valentine's day. We always taught our children that it was a day to express love to those we love. couples or not. These all sound amazing! I'd love to see the Aurora Borealis someday! My dream Valentine place would also be by the beach, in the lovely warm. I'd watch the sunset there, having dinner right along the coast. Hi Lux! I would love an aurora borealis date. I've never seen the northern lights, but the photos of them are gorgeous. I'll go with Olivia-Savannah's answer too. 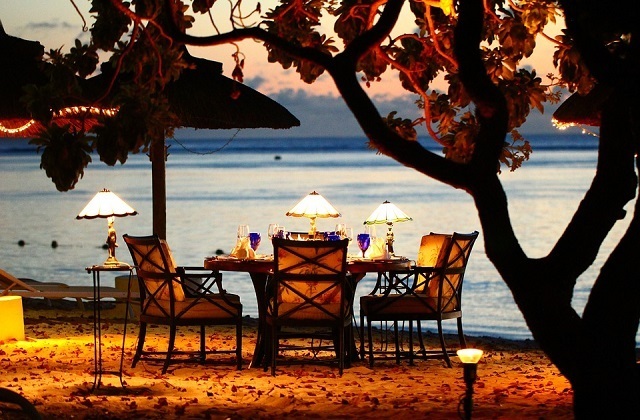 Dinner on the beach (no sand in the food though) sounds wonderful. These are all great options! I hope you had a great time pampering yourselve. I will gladly share Zac Efron with you, but only you Lux. This post made me chuckle, thanks for sharing your heart.